I just love it when my kids like my friends. I have this one friend, in particular, who taught Cutie Pie’s first Sunday School class. The only two students in it were Cutie Pie and my friend’s son. There has always been something very inviting about Ursula, something that just drew me to her as a friend and I’m so glad Cutie Pie saw that in her, too! It’s not unusual for Cutie Pie to run up to her and plop down in her lap or give her a great big hug. I love it! Now that this Sunday School class is no longer, we try to get the kiddos together for some fun time every once in a while outside of running around together after church. Recently we met up for some fun at Rochester Museum of Play to check out their Tinkertoy exhibit. Sweet Pea was enamored with Ursula, wouldn’t come to me for anything! It was so heartwarming to see him lift his arms to her for comfort throughout the day! I love it when my kids love my friends! Of course, I have a few other friends my kids absolutely adore. I’m so thankful to have them in my life to offer love and acceptance to my boys! Now hop along with me! Come follow me back and happy week end ! Looks great!!! 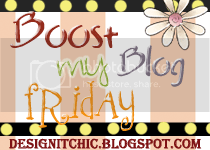 I'm your newest follower from the You Like Me Friday Blog Hop. If you get a minute please drop by and follow back. Have a super weekend! I'm your newest follower from the Boost your Blog hop. Love your layout and blog title! Look forward to future posts!